Can you beleive that I have had this blog up for a few months now and I still haven’t posted a photo from the Great Gallery or of the Holy Ghost figure? 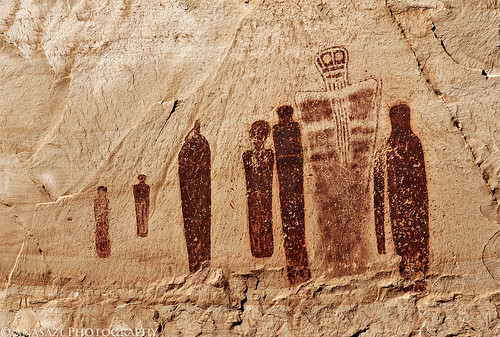 The pictographs in Horseshoe Canyon along Barrier Creek are some of the most well-known in the world! Well, I’m about to fix that right now by posting this photo of the Holy Ghost with a couple of other anthropomorphic figures surrounding it. This is an outstanding panel and there is so much to see here. I have plans to head back there again this fall, and am looking forward to it!